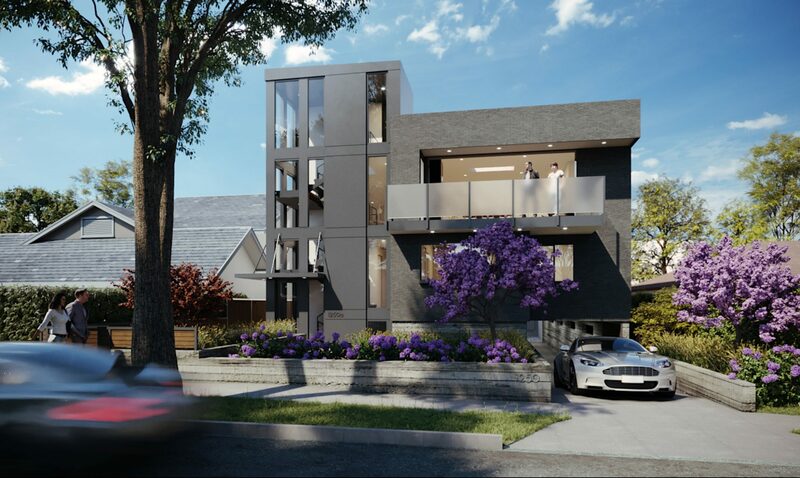 Beach City Capital is pleased to present the development of 3 townhomes located on 1250 N Fuller Ave, West Hollywood, CA (the “Project”). The development will include three 2,450 sf condos with 3 bedrooms and 2.5 bathrooms in each. Each condo will be equipped with high ceilings, a grand living space, roof-top deck, and a two car garage. 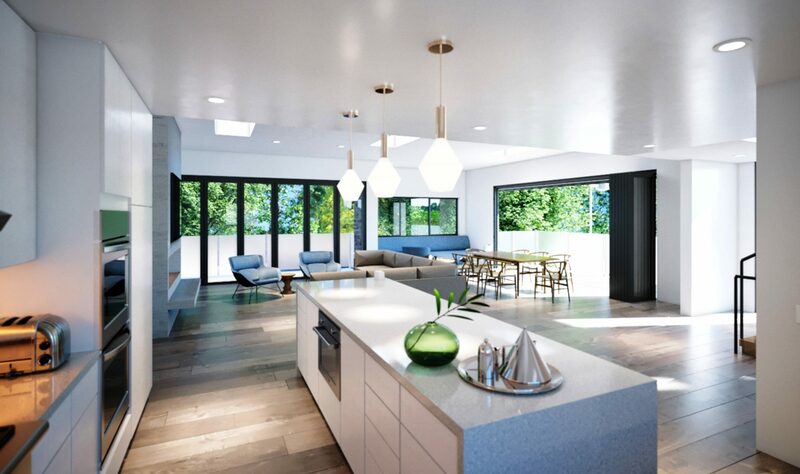 This property is situated in the heart of West Hollywood near The Grove, Runyon Canyon, LACMA, and the Sunset Strip. The Project will benefit from West Hollywood’s dense and compact urban environment, high walkability score, and close proximity to restaurants, nightlife, shopping, and transit. The Sponsor acquired this property off-market at a significant land discount. The Sponsor’s conservative underwriting yields levered returns of 22.1% IRR. Market comparables, within a 1/4 mile, radius average $918 psf. New 2,500 sf homes within a 1.5 mile radius have recently sold for greater than $2M. Our financial analysis assumes a highly conservative sales price of $750 psf. This Project is fully funded. West Hollywood is nested between Beverly Hills on the West and the Hollywood Hills on the North. West Hollywood has convenient access to all hot spots including the Hollywood Bowl, Hollywood Walk of Fame, LaBrea Tar Pits on Museum Row and Downtown LA. West Hollywood is home to the “entertainment” lifestyle catering to the artistic community. With a high average household income of $88,193 and a well educated population, West Hollywood has seen a population increase of 6.5% in the last year. According to Walk Score, West Hollywood is ranked as the number one most walkable city in California (91/100), noting that most errands can be accomplished by foot. The city is known for being a trendy, high-energy area, famous for being home to some of LA’s most iconic landmarks and most acclaimed restaurants. Additionally, WeHo’s Northern border being the Hollywood Hills allows for a host of outdoor activities such as hiking, trail running, biking and horse back riding. The property is located next to a new Trader Joe’s, Target, and Whole Foods and is also a 20 minute walk to Runyon Canyon Park. Right off Santa Monica Blvd, the property is located near an array of upscale restaurants, chic coffee shops and walkable community ammenities. 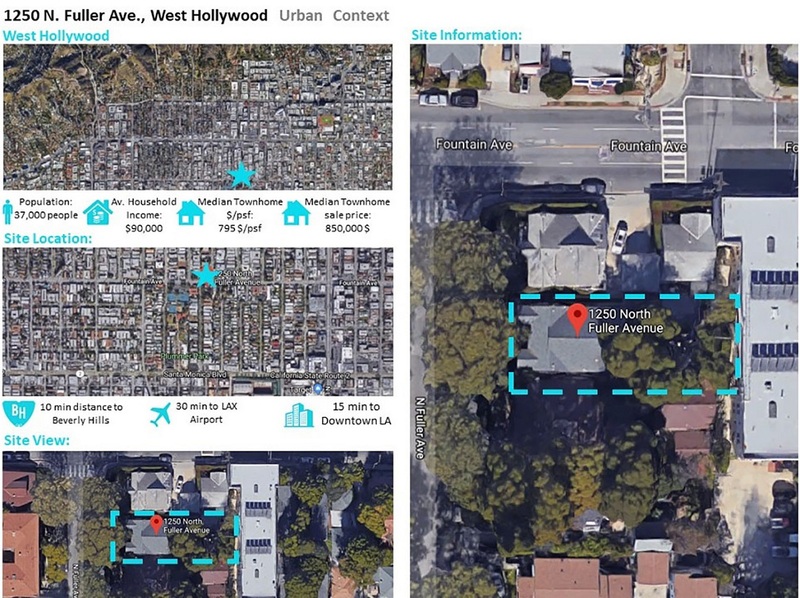 Beach City Capital acquired an underutilized lot in West Hollywood for $216 psf, in a highly sought out area where land is scarce and demand is high. We were able to locate this property off-market through personal relationships. The business plan is to construct a by-right development project; no zone changes required. We will take advantage of the lot, location, and work with city planning to design an extraordinary project. The property is currently under ‘Rent Stabilization’ with one unit vacant. Per the Ellis Act, we will be offering the current tenant a relocation fee and 120 day notice to vacate the property. We have underwritten these costs into our pro forma and have began the process with our attorney and city government. Beach city will leverage industry knowledge, experience and technology to monitor, report on and manage the delivery of this project from construction to disposition. Beach City Capital will use the most respected local Real Estate Brokerage. Beach City Capital is currently in the Entitlement phase. Once Entitlements and Permits are secured Beach City will go to the market to select the best option for the construction loan. This investment is currently closed. Market comparables, within a 1/4 mile, average $918 psf. New 2,500 sf homes within a 1.5 mile radius have recently sold for greater than $2M. Our financial analysis assumes a highly conservative $750 psf.